So I guess its an invention of the indian palate and has now become a staple in any chinese dinner that one hosts or on the menu of most chinese eating joints in India. 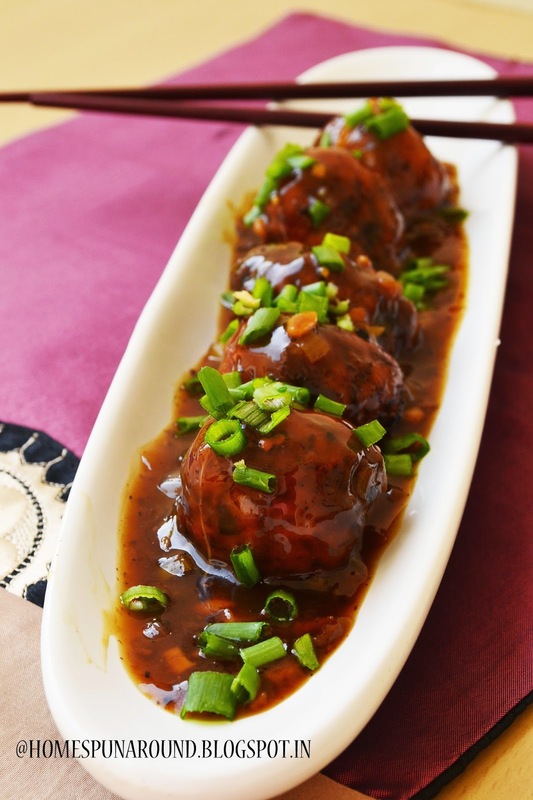 The variations are many... You can substitute the deep fried balls with chicken in egg and cornflour batter, deep fry and then submerge it in the manchurian sauce... it becomes Chicken Manchurian. 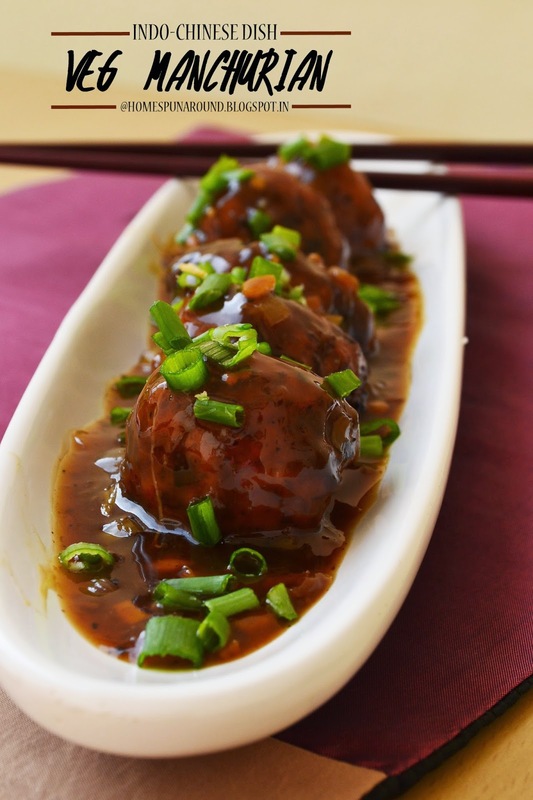 The one that I am showing you is Mix Vegetable Manchurian in a spicy, tangy sauce. In summer I substitute the mix veggie balls with balls made of grated bottle gourd or in Indian terms-"lauki koftas" and the kids relish it... because otherwise they do NOT touch the healthy bottle gaurd (lauki) in any other form. 1/4 cup finely chopped green part of the spring onions. 1-Mix all the ingredients well, set aside for a few minutes. 3- Drain them on a kitchen towel and keep aside. you can use if you so desire, but its not good for health. If its too thin a consistency- add some more cornflour paste. 4- Now add the vegetable balls and simmer in the sauce for another couple of minutes. 5- Serve garnished with finely chopped spring onion greens.